We have launched straight in to updating our luxury bathrooms at Warner’s Farm. 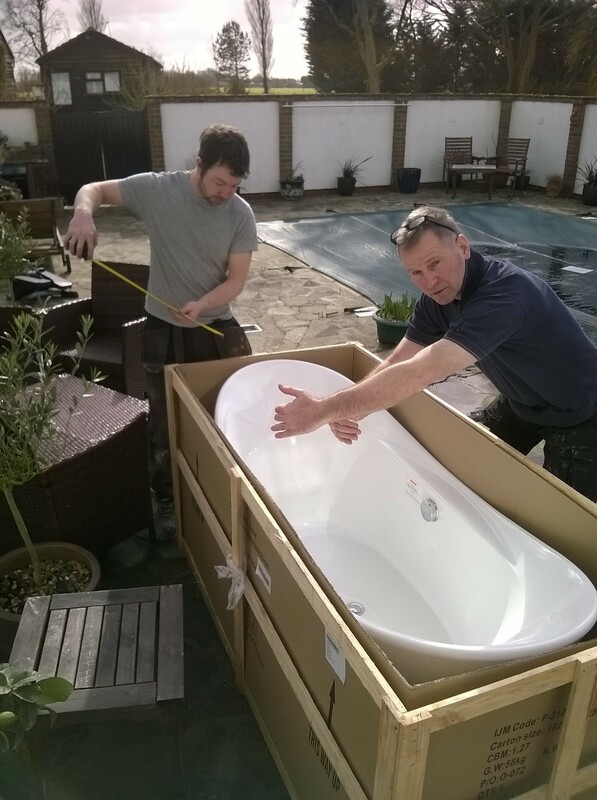 Our wonderful plumber (Tony) and carpenter (Carl) are already at work on the first bathroom. We had great fun wondering how to get the double ended bath up the wiggly staircase! Next step -the tiling. I can’t wait to see it all completed. Stay posted for updates on this, and our other improvements in progress. We’ll post more pictures soon!